ALTAIA is the second perfume love child collection of Marina Sersale and Sebastián Alvarez Murena, whom I met at a beautiful dinner organized by Mecca, the brand’s distributors, to introduce ALTAIA to Australia. 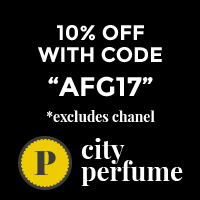 Bertrand Duchaufour composed the first much-more-than-a- simple citrus Eau d’ Italie in 2004, then went on to make moody, metallic and stone violet-leaf-iris Sienne L’Hiver, rich rose and incense woody oriental Paestum Rose and the intensely orange blossom grapefruit-green Jardin du Poète. Alberto Morillas, Daphné Bugey and Annick Ménardo created the rest of the range. The packaging and bottles in bright vibrant colours are guaranteed to cheer gloomy spirits before even smelling a single note. At AUS$169 or $200 depending on your choice, they are also on the affordable side. Marina and Sebastian’s second collection, ALTAIA, is spare, elegant and contemporary in presentation. The story behind the range is as captivating as the scents. ALTAIA or A Long Time Ago In Argentina was created after the two discovered that their families had been connected 140 years before they met and fell in love in Italy in 2001.Their great-great-grandfathers, an Englishman and an Argentinian had worked together in Argentina in the 1860s. Sebastián grew up in Buenos Aires and Marina in London and Italy before their fated meeting in Positano. The three EDPs by Daphné Bugey which launch the collection bring together stories from the past and present. By Any Other Name is of course a rose, evoking memories of Marina’s mother’s first proposal of marriage aged 16, in the rose garden of Sudeley Castle in England. Gentle rose and osmanthus intertwine and weave in and out of each other in a soft, slightly fizzy blend. They are supported by the musks in the base and invisible (to me) cedarwood. This is no big bold punch-right-between-the-eyes rose but there is no girly pink lollywater effect. Pretty but with substance. Don’t Cry For Me revisits Sebastian’s memories of Buenos Aires. Again, it’s soft and airy, an almost dreamlike sweet jasmine, no indolic raunch here. Freesia, sweet cherry blossom (which I can’t pick) and jasmine ,blend with a touch of powder (heliotrope?) and a cloud of soft pink musk and gentle woody notes. Nostalgic and sophisticated. Yu Son is love in an Italian citrus grove. For starters, it’s choc-full of mandarin, bitter orange and greenness (is that the green tea in the note list?). On a humid summer when you’re looking for interesting cool, not cologne cool, this would be perfect. It’s got sweetness from orange blossom, a dry iris note gives it backbone and woods bring richness and persistence. The range will be available at Mecca Cosmetica stores and Mecca online exclusively from 8 November $277 for 100 mls. Eau de parfum. Which of the three will you try first? They’ve really grown on me as I’ve worn them, particularly the rose although I’m not a rose person. And I’m looking forward to wearing Yu Son in the prickly humid Sydney summer. I like the bottles and labels but these really seem like designer creations but priced at niche levels. Nice point but niche these days seems to encompass a very broad range of offerings from quirky, adventurous and interesting to just costly and novelty for the sake of novelty. These aren’t quirky but for me they are more than just expensive.